Bratislava Royal City Tour: Hop on a ride with our professional guide all way to the medieval courtyard of the Bratislava Castle, all on the wheels of unique Presporacik vehicles. You will learn about the uniqueness of the inverted pyramid, fun facts like the place where the first UFO is believed to have been spotted, what’s the actual name of the President’s Palace, etc. In the old town you will experience unique sightseeing tour by walk, where you learn about our coronation history, the times when Bratislava was once the capital city of royal Hungary, the man hub for classical music visited by Mozart, Haydn, Liszt and many more. You will be taken through the colorful villages and small towns of St. Jur, Pezinok, and Modra, which lie in the foothills of the Small Carpathian Mountains, where the most famous producers of top-flight Slovak wines have served locals and kings for centuries. You will visit the traditional handmade folk pottery workshop with the opportunity to buy, even to try how it is made. Afterwards you will explore the magic of Red Stone Castle, where the historical lifestyle of the nobility is preserved, and you see the largest wine cellar in Central Europe as well as a unique collection of arms and paintings. Don’t miss the opportunity to see the white peacocks in its park and the biggest Falcón collection in Slovakia. Interested in history? Excellent! These impressive ruins have amazing surroundings, rich history and are easily reachable from the city center by car/ speedboat in 30 minutes. For photography lovers this is a place that simply must be added to your collection. Guided tour starts with the Devin Castle tour. Enjoy with us a place, where from one point you will see: two countries, two rivers meeting and the ruins of a castle that was blown up by Napoleon’s army. 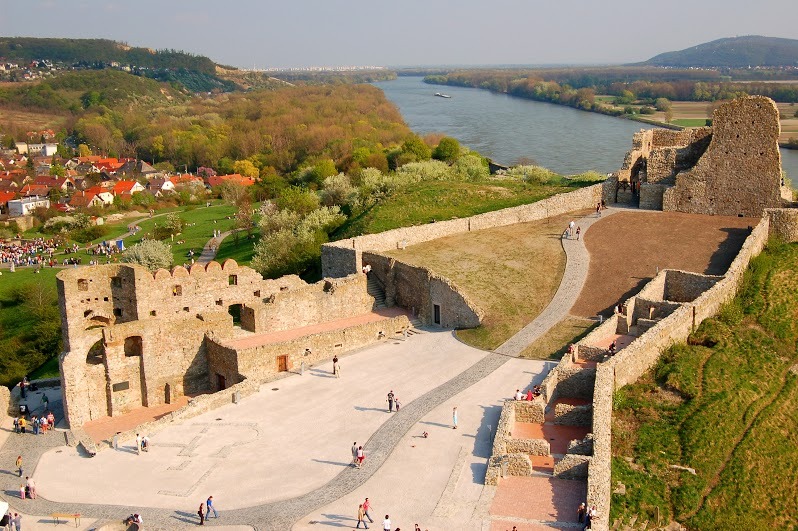 2 nights’ accommodation BB, airport transfers, guide in Bratislava / 3 hours incl. castle tour by Presporacik. Second day the guide for 6 hours and transfer + entries Red Stone Castle, Pottery Workshop. 3rd day guide and Devin castle entry. Upon request – 230 € / 1 speedboat and falcon show 8 € per person. Reservation: from 10 pers. Less then 10 pers. price upon request. For more information contact Tour4U.